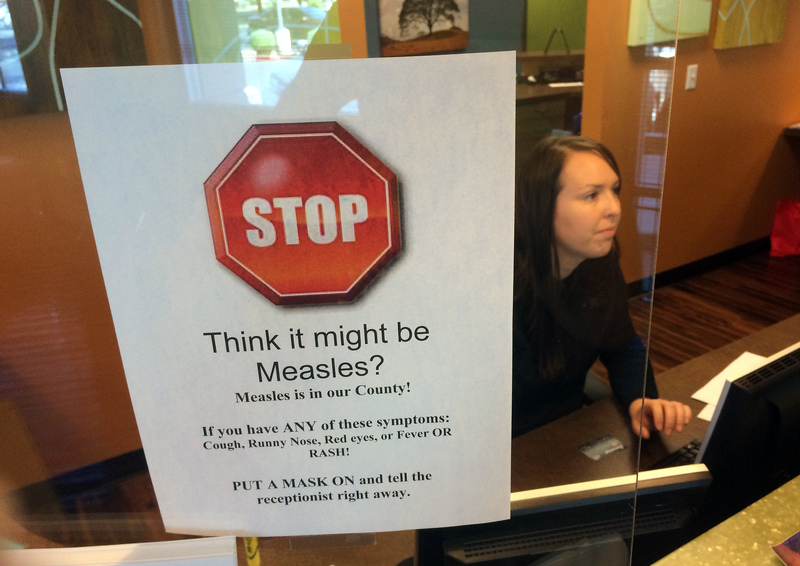 TUCSON, Ariz. (AP) -- Health officials in Arizona say the largest current measles outbreak in the United States is in part because some workers at a federal immigration detention center refuse to get vaccinated. The facility includes about 350 CCA employees and an unknown number of ICE staffers, although Schryer estimates it's about 100. ICE doesn't publicly release staffing levels, nor does it require employees to be immunized. There are currently over 1,200 detainees being held at the facility. Yasmeen Pitts O'Keefe, an ICE spokeswoman, said the agency is working closely with health officials to monitor detainees and employees and that it instituted several measures to prevent the disease from spreading more, including providing immunizations, referring staffers to nearby clinics, handing out flyers and pamphlets on the dangers of measles and providing masks and gloves. Schryer said officials were considering asking the Arizona governor to declare a state of emergency, although Christ said that might not be necessary. "To trigger a four-day stay in the hospitals require that you be pretty darn sick. It's not really something to play with, and maybe they just underestimated the seriousness of it," Schryer said.